Ankle Pain is one of the most common complaints that present to our office. Some obvious sources of ankle pain are from direct trauma or sprains. Other common causes of ankle of chronic postural stress due to mechanical inefficiency. Flat or pronated feet are a direct cause of this inefficiency. Dr. Michael Horowitz often recommends custom orthotic inserts to treat this biomechanical problem. 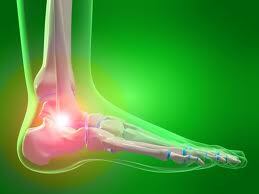 For Ankle pain - control inflammation and correct biomechanics faults! Have your questions about Ankle Pain answered by Dr. Michael Horowitz by calling 604-737-3668 or by filling out the form below. He will respond promptly.